Welcome to DreamWriter's Dreaming currently housed at dreamwriters/ dreamwriters. We're the DreamWriters (though we do everything currently under our legal identity: Emma Hryniewicz). Currently the only open crowdfunding opportunity right now is our Irregular Fiction and Poetry Prompt Call (LJ). Fiction & Poetry generally ranges from $3-30, depending on length. We also take custom requests at the above pricings. To Write Love On Her Arms (TWLOHA) Inc.
You can use this post to leave a testimonial! Most of my original works are licensed under Creative Commons unless otherwise specified. I am not a lawyer, accountant, or medical professional. If you need something along those lines, also contact a professional with that experience. These readings are for entertainment and spiritual purposes. Accuracy is not guaranteed, everyone has the free will to make their own choices and I am just a messenger. Our fandom_stocking Stocking is up if folks want to grant us fandom/nonrandom gifts. Pledges open from December 14th 2018 to January 15th 2019.
inkingitout 2019 sign ups run from Dec 14th 2018-January 1st 2019. Post to your DW/LJ/Facebook Notes (publicly or locked) with a list of things you want to receive for the holidays. They can be anything, from a personalized DW/LJ icon or drabble to a new house because your old one is dirty - as long as all the items on the list are things that you genuinely want. Look around your circle/friends list for others who have posted the meme. If you see a wish you can grant, GO FOR IT. You might find a little thing you can do for free that will make someone happy, or you might just discover that a stranger is longing for the exact boxed set of DVDs that you no longer want. Don't spend money unless you want to, and don't commit to more than you can handle without stressing yourself. There are no rules to this project, no guarantees, and no strings attached. If someone surprises you with a gift certificate to the restaurant you never thought you'd get to go to, don't feel guilty or obliged to return the favor. The point is to spread around a lot of opportunities to grant wishes - use them as you see fit, and remember that your list gives those opportunities to others! Hi I’m Emmy, I’ve been doing this on and off for several years; had to skip last year because a housemate didn’t like sharing the address. :D Now that it’s officially my address I can participate again! 01. Holiday cards - I prefer Yule/Secular/ Generic holiday, but if you have religious cards that aren't super denomination-specific I'll accept those too. 02. Stickers - I always get neat things when I ask for stickers and I love the variety I get. I don't really care what kind of stickers you give me: seasonal, anime, random, spiritual. I use them in journals and for ATCs. 06. Amazon Wishlist - http://a.co/ik6IRif Sidebar is sorted by category/subcategory the default list is stuff that either doesn't fit anywhere or things I haven't sorted yet. I've changed up the sorting again this year because it was starting to get unwieldy. I also have a hidden subcategory list for kink/nsfw/innerkid stuff just let me know if you want to view that one. 07. Gift Cards: DollarTree, Amazon, Ebay are preferred. 08. Care Packages! I have some restrictions here though: please avoid: fragrances (unless all-natural, food scented things are usually better than florals), fish/shellfish, treenuts/peanuts, and dairy. 10. More followers for my journal here! If you're interested in fulfilling a wish that requires an address, you can either DM me here, on dreamwidth/LJ, or at my email address which is ehryniewi[AT]gmail[dot]com, please put Holiday Wishes & the wish # in the subject so I can filter these out so they don't get lost in my inbox. Thank you! It's that time of the year, the seasons change and some intrepid writers embark on an epic adventure of #Preptober while preparing for the crazy deadline of National Novel Writing Month (though I admit RLJI is its own crazy deadline too). I don't have a great track record for either challenge to be quite honest (look at me, sliding in just under the deadline here). But I still keep trying anyway. Even if it makes me enemies. The world needs stories. We need the stories that are primal screams of injustice and survival. We need the stories that are escapism at its finest. We need the artists to envision the possibilities when things seem impossible. I'm a bit of a Rebel during the fall and this year is no exception. I'm revisiting a very old and very dark story of one of my headmates. She's a survivor who learns how to become a hero after losing most of her hope in the world, when she stumbles into the life of a member of a safehouse for super powered individuals. I like these kinds of stories. The ones where perseverance is rewarded, where the underdog rises up and wins. Where even when it's the darkest story, there is a glimmering possibility of hope and belonging. I'm going to get my stories into the world this year because they're one of the ones we need. This was written for therealljidol Week 1 Topic 1 : It's hard to beat a person who never gives up"
I'm participating in The Real LJ Idol's first Dreamwidth-based mini season Literary Prize Fight at therealljidol! If you'd like to come join the fun, make a declaration of intent post like this in your journal and link it in the Sign-up post. The deadline to sign up is October 1st! Thank you for making a space where we can grow together united by our passionate interest in something. Thank you for being a place where I can bring my whole self to the table. Thank you for being a space where creative spontaneity happens. Thank you for being a place where I can color on the table and the walls. Thank you for being a place where I can explore human needs and expressions and thank you for being mostly supportive and self-managed when things get blown out of the water. Thank you for being a place where creators are collaborating on all levels and enjoying their fans and being a fandom where I can embrace the imperfections of my craft and be myself. Thank you for your ability to dive into the complicated nature of things "being in your head" and yet still being "real"! You've taught me that virtual and mental space is just as important as the physical spaces. P.S. Cecil's fan letter poem, To The Creators (LJ) is also a love letter to fandom. 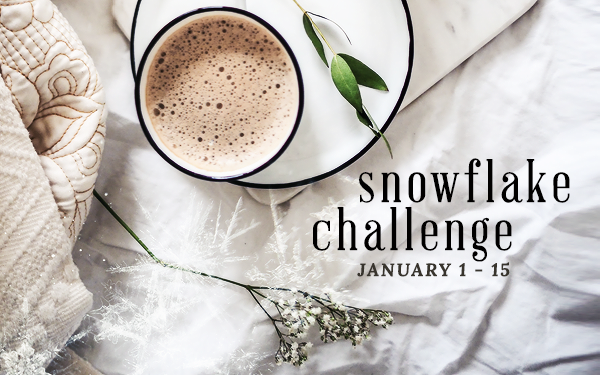 [Fandom Snowflake Challenge] Day 14 - Create a Challenge: "Fandom Social"
Think of the fannish space you provide or want to provide. Do something to encourage that kind of space. flo_nelja - Phase 1 - Make your top 5 femmeslash ship list in the comments.√ Phase 2 - Push your comfort zone in femmeslash. bardsley - Engage. Go back to Day 7 and send love. el_staplador - find an early fanwork of yours. Compare it with something more recent. Are you still in the fandom? Where is it hosted? Think about what you'd do differently? Find something you like about it. Celebrate your time in fandom. shuufleur93 - From June to August read at least 2 books you wanted to read, were recommended/offered, or a book you've always said you'd read one day. Comment/review if want. tellshannon815 - step out of your comfort zone: write a character or pairing you've never written. Bonus points for a character who's not popular but has a story to tell. [Fandom Snowflake Challenge] Day 12: Create a fanwork: "Checking In"
Eva and Neil check in with Robert Lin after returning to the office. The one fandom that I think changed my life the most is the one fandom i'm not really active in and got into late: Jacqueline Carey's Kushiel's Legacy series, specifically Imriel's arc. It was the first time I'd ever found someone who explicitly wrote PTSD recovery fairly realistically in fiction. And basically ignited my love for disability/neurodiversity fic. I started reading and writing disability fic in other fandoms and original work because of Imriel. Because I wanted more of it and more varieties of it. Related to slowburn kink for me. Personally I can't do long distance relationships but I love reading them. [podfic] A recording of Intern Maureen's entry in longhairshortfuse's Intern Survival Handbook. Nick narrating a poem on Vera growing up post State vs Misham. Freebird Games that follows two doctors from Sigmund Corp a company that grants wishes to dying people. Here's the trailer for the first game. I got introduced to the series by a fan in Ace Attorney fandom after they used a song from the soundtrack on their fanmix for one of my works and also said I'd probably like it because it has an autistic character. Later I learned it also hits my narrative kinks for odd couple partnerships and pop culture references. Mostly it's aww/like comments. And a lot of stuff from To The Moon (one of my favorite small fandoms) because I'm working on my own canon divergence headcanon AU. Five times Wright and Edgeworth implied they were in a relationship and one time they just went out and said it. it’s a to the moon fanfiction! my first one ever! fun times. so, number one, i did write this pretty quickly and only went over it once so if theres mistakes im really sorry! and two, i feel like in one of the minisodes they mentioned eva’s canon family but i just. completely forgot about that. so if eva does have a canon family sorry about that- all of her family members i just completely made up. this fic is also pretty long- or at least i think so. its a little more than 5k words. just an fyi, i guess. anyway, thats about all i have to say, so thanks! Neil hated Bring Your Child to Work Day, particularly when Eva wasn't even bringing her own child, and it wasn't actually Bring Your Child to Work Day. But Eva was his friend, and if he had to babysit the brat on his birthday, Neil would do it. Except a nine year old turns out to be way more perceptive than Neil would have thought. I don't really have a lot of fandom-specific resources but general writing resources. And I can't choose just one. Heh. Generally I'm okay with transformative work, including translations. Generally speaking my policy is fairly close to The Creative Commons BY-NC-SA, but I'd prefer you ask first. There may be exceptions. Willerverse and Intergalactic Urban Search and Rescue are open source universes that welcome fanfic with the possibility of fan works getting canonized. (2) Podfics and translations for these are FINE, but use the translation/remix link so I can see them! (4) Exception to the rule: My Ace Attorney OCs are free-range for PWKM works and anyone I know from the Phoenix Wright/Ace Attorney fandom. Check the tags on fanmixes. If it has a freeform tag that says "remixable", you may create a fanfiction or fanart based off of it. Some of my fanmixes are already remixes for other people's works or my own. 30/bigender or polygender, presenting feminine/lifelong learner, reiki practitioner, writer.